The task was to recreate an Oscar inspired look and incorporate it into your everyday life. So when one typically thinks "Oscars", I think most people instantly associate that with the red carpets and the gorgeous stunner looks people bring to the awards. But when I thought Oscar inspired look, I instantly thought of one of my favorite Oscar nominated movies of this season Into The Woods. For those who haven't seen the movie, it circles around the story of a Baker and his wife who will only be guaranteed a child in their future if they help the witch in town (played by the talented Meryl Streep) to receive a few items to which she would then release the curse she had put on their family. And how more fitting could this movie be with this task as one of the items that Baker is in charge of getting is "a slipper that is pure as gold"-- which in this case is Cinderella's all well-known glass slipper. 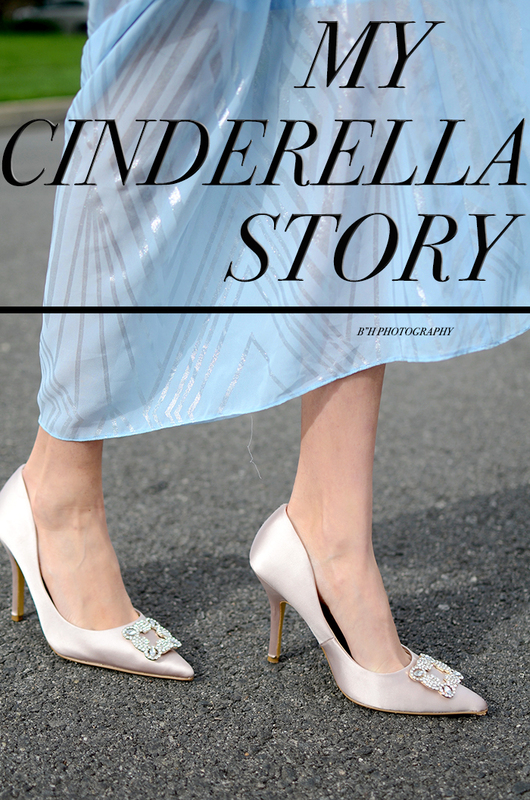 So today, I decided to recreate my own version of a Cinderella story in the most Cinderella-esque blue dress and shoes that would be fit for any princess.